Eve. First woman. First to be tempted. First to sin. But what if there were more to her story than that? Forever Loved: Eve’s Story is the story of Father and daughter, as told by Eve. It is a story of preciousness and beauty, of tender love and grace. Through Eve, God reveals his Father heart of love for you, his treasured daughter. He whispers to you now, and calls you closer. My Thoughts: This is an interesting account of Eve and Adam in the Garden of Eden. The reader begins reading the first account of Eve in her words. This short book is a great reminder of how much God loves us, and how He wants us to be in fellowship with Him. This is an enjoyable read that all readers will love. True or False? Eve spent time with God before meeting Adam. True or False? Eve wasn’t called Eve until after the Fall. Does the Bible even say? Until recently, I wouldn’t have been able to tell you, even though I’ve been a Christian many years, and thought I knew the Bible story of Eve really well! 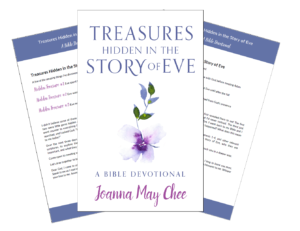 It was during hot, sticky, jet-lagged nights, about four years ago, on holiday overseas, that God started giving me new and wonderful insight into Eve’s life. Words literally started pouring through my head: the story of Eve, but not as I’d heard it before! I’d always had negative connotations of Eve – the first woman to be tempted, the first to sin. But the story God revealed to me during my sleepless nights was one of preciousness and beauty. It was the story of Father and daughter, of God’s incredible love for Eve, and His equally wondrous love for me. As Eve’s story unfolded over several nights, I wrote it down; and God gave me a book I did not ask for (but am forever grateful for): Forever Loved: Eve’s Story. These new insights into Eve’s story have been life-changing. God has brought me deeper into His love than I could ever have imagined. 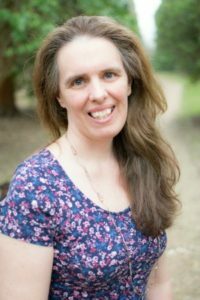 (In the introduction of ‘Forever Loved: Eve’s Story’ I share something of the deep hurt and insecurity I experienced growing up – including the time I got into BIG trouble with my teacher – my cry to know God as Father, and how God’s love has brought healing and freedom.) It’s my prayer that ‘Forever Loved: Eve’s Story’ touches the lives of women around the world, that women may come into deeper experience of God as Father, and know just how beautiful and precious they are to Him. So, back to the True/False questions at the beginning of this post! What do you think? Be sure to comment on the blog stops below for nine extra entries into the giveaway! 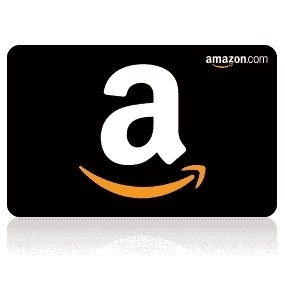 Click the link below to enter. Thanks so much for reviewing. Bless you! 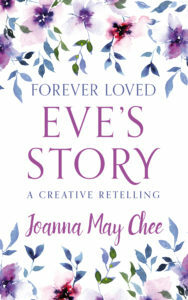 Forever Loved, Eve’s Story sounds soooo gooood!